Smart bands and watches tend to become universal accessories for people who want to track their vitals and stay healthy. But not everyone is into high-tech and urban styled wrist adornments. Luckily, companies introduce connectivity to a wider selection of wearables to make vitals tracking and control even more comfortable, fashionable, and personalized. This is where trackers and sensors are becoming the work of art, placed into crystals, leather, precious metals, and wood. In this article, we are going to explore some of the most interesting connected accessories. The unisex titanium Motiv ring is designed to accompany its user 24/7 due to sizes comparable to a plain ring. Coming in rose gold, silver, and slate grey colours with 7 different sizes to fit any hand, it is as subtle as one wants it to be – the minimal design doesn’t expose its IoT capabilities. 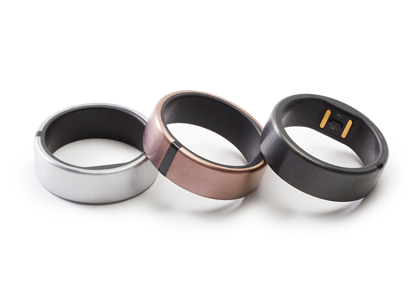 The Motiv ring is waterproof up to 50 meters or 165 feet, which allows its users to easily bath, work out, swim, or hit the beach without bothering to take it off first. Wait, no steps or step goals? Well, AHA, HHS, and CDC recommend everyone to have at least 150 minutes of moderate intensity activity per week to stay healthy. Based on that, Motiv designers decided to go for active minutes instead of steps to better assist the ring users in avoiding chronic diseases and improving their cardiovascular health. Bellabeat’s ethos is nature-inspired and targeted at women’s health, energy, and mindfulness improvement. Its smart Leaf jewellery comes in several designs made from eco-friendly materials and doesn’t really look like tech. 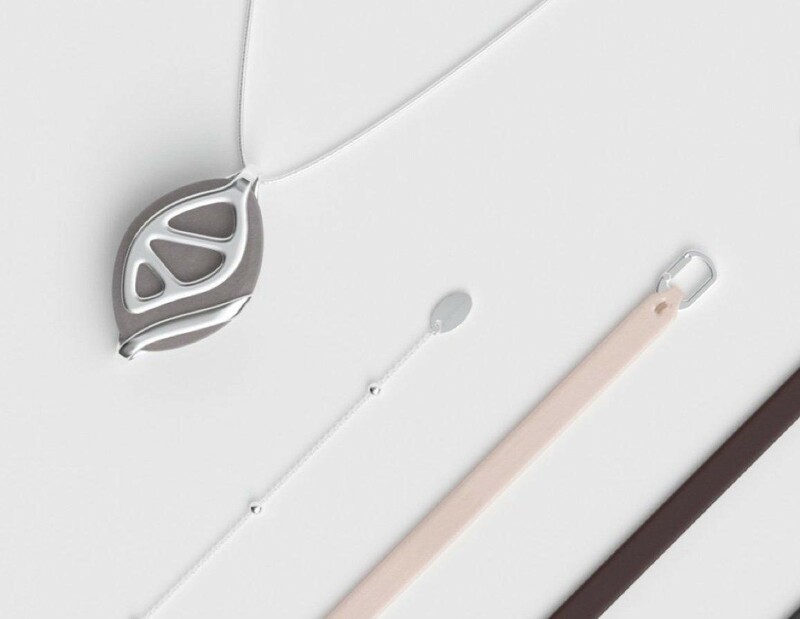 Bellabeat Leaf jewelry offers convenience, customization, and personalization at every level, from its design to health monitoring and energy management abilities. First things first – it doesn’t require charging at all. After 4-6 months in use, its battery should be simply replaced. Additionally, the app provides meditation guidance and breathing exercises, tailoring the session to the user’s sleep patterns. Embr Wave stands out from the row of many wearables being more on the controlling than tracking side. 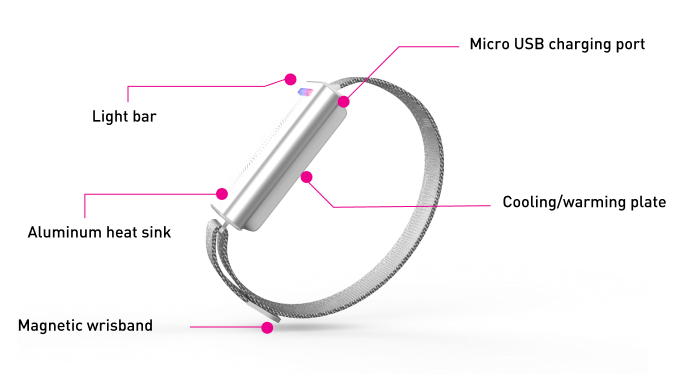 It is a unisex-designed and slick-looking temperature tracking bracelet with aluminium sink and magnetic wristband for comfortable wear created by MIT developers. The bracelet uses thermoelectrics and customized algorithms to send warming and cooling waves and make the user more comfortable in the office, during a walk in a chilly day, on stuffed public transport, or pretty much anywhere else. It might be especially useful in stressful situations, such as during an interview, or for people who are frequently flying or tend to catch a cold too easy and too often. We must say that Joule creators took the idea of making health trackers subtle and personalized even further, designing the earring backing that would fit any ear adornments making them smart. It is now only available for pre-order but shows significant potential in revolutionizing the wearable health monitoring market. It can fit practically any person who wears earrings, no matter the style. Being only 18mm in size, this earring backing is so small that it can be comfortably used during basic daily activity, workouts, jogging, and partying. Even though smart jewelry is a young trend, it gains traction, and we anticipate it to become booming along with more conventional wearables. Based on Itransition’s experience in healthcare software development, we anticipate that they may become the next step towards comfortable and personalized health monitoring. We would like to know your opinion – what do you think about smart jewelry, what’s your personal favorite device, or what do you currently use. Please join the conversation in the comments.